In 1920 the two-block, disengaged section of Avenue A that ran from 57th to 59th Streets was not the sort of neighborhood where one would find wealthy socialites. In 1883 the little stretch of roadway had been renamed Sutton Place, possibly with a nod to Effingham B. Sutton who had constructed a row of brownstone residences here in 1875. 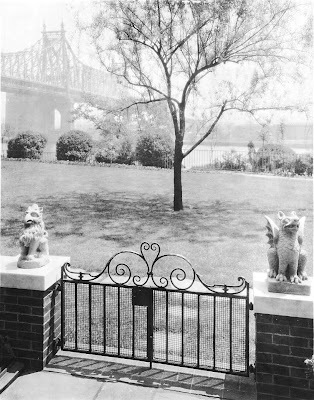 Overlooking the East River, the area was home to the Peter Doelger Brewery, decaying rowhouses and tenement buildings. 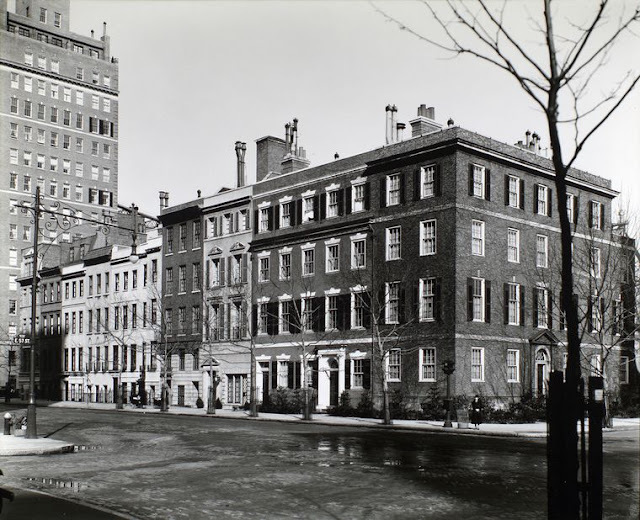 The society women of Fifth Avenue had, most likely, never heard of Sutton Place and certainly had no interest in seeing it. But that was all about to change. That year Elisabeth Marbury, the wealthy literary agent and producer who had been born into an aristocratic family, commissioned society architect Mott Schmidt to transform a Victorian rowhouse at No. 13 Sutton Place into a Georgian residence. 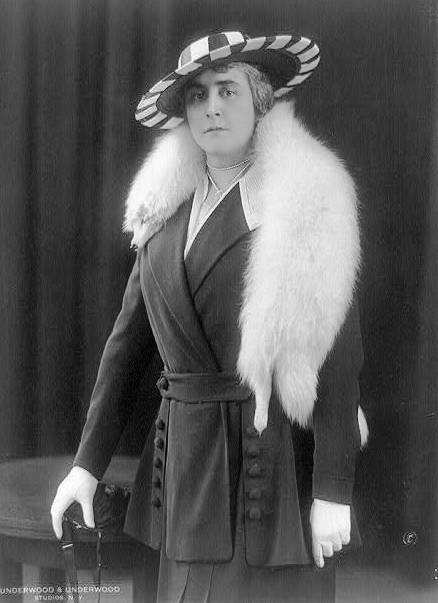 She moved in with her long-time companion, decorator Elsie de Wolfe, and began a campaign of convincing her other female friends to follow suit. One of those friends was Anne Vanderbilt whose husband, William K. Vanderbilt died on July 22, 1920, making Anne a widow for the third time. New York society was shocked when, on January 9, 1921, a New York Times headline reported that “Mrs. W. K. Vanderbilt to Live In Avenue A.” She had sold the gargantuan Fifth Avenue mansion for $3 million to move to what the newspaper called “a little-known two-block thoroughfare.” She used $50,000 of the $3 million to purchase Effingham Sutton’s house and, like Marbury, hired Mott B. Schmidt to renovate it into a 13-room Georgian mansion. And, in a way, she did. By now the neighborhood was filling with single and very wealthy women who were keeping Mott and Elsie de Wolfe busy changing 19th century middle class homes into fashionable neo-Georgian residences. Anne Vanderbilt’s sister, Mrs. Stephen Olin, was already here as were Mrs. Lorillard Cammann and Francis B. Griswold. Two months later Mott Schmidt filed revised plans for Anne Morgan’s house at No. 3 Sutton Place. She had purchased the house next door, No. 5, and the original plans were scrapped so that the two houses could be merged. “The new plans call for the rebuilding of the two structures into a four-story dwelling in American Colonial style with a roof garden,” reported The Times. Reflecting their close relationship, Morgan and Vanderbilt would share a common garden to the rear. To create the illusion of a vintage home, Mott reused the bricks from the old buildings on the site. And while the exterior impression would be 18th century, Anne Morgan would not have to endure the hardships of colonial life. An elevator, in-house incinerator, gas furnace and refrigerators brought the home squarely into the modern age. 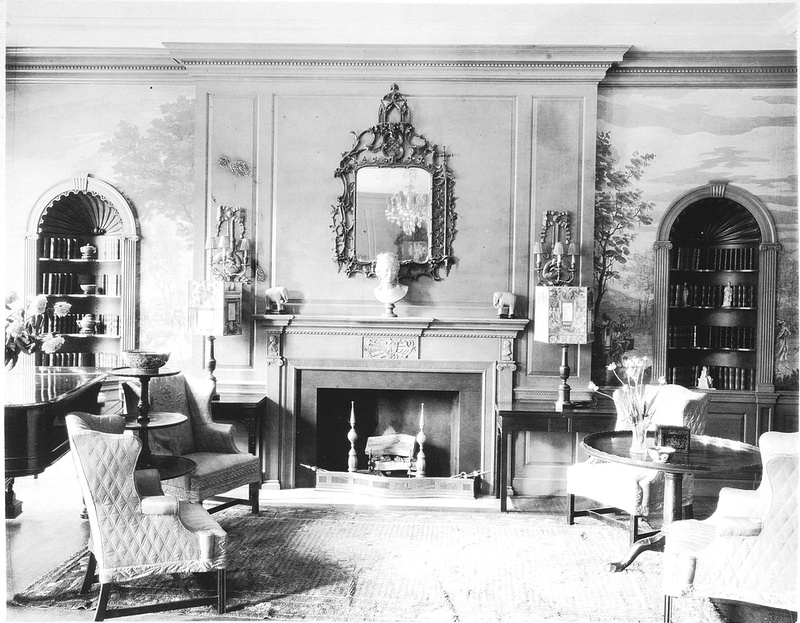 The establishment of Sutton Place as a suddenly-fashionable neighborhood caught on and in November 1921 Joseph E. Willard, former Ambassador to Spain, purchased the house next to Morgan’s and began remodeling. But mainstream society was not quite sure how to react to this sudden explosion of female independence and rejection of tradition. Rumors, started probably by threatened upper-class males, told of lesbian orgies in the Morgan House and secret underground tunnels connecting the women’s homes so they could pass back and forth unseen. But it was Anne herself who would sometimes be responsible for the upending of Sutton Place propriety. Among her many causes and interests were the servicemen. She had spent years in Europe during World War I working with the military and World War II would arouse her spirit again. Morgan staged a block party for hundreds of service men on quiet Sutton Place just four months before the attack on Pearl Harbor would drag the United States into the conflict. The patriotic Morgan was a bit of a detective, as well. The following year, in May, with gas rationing in force, Anne Morgan smelled the vapors of gasoline emanating from the basement of the house next door. She notified the Bureau of Combustibles of the Fire Department who found 65-1/2 gallons of fuel stored in the cellar. The neighbor, Mrs. Clarinne Reavis, explained that she was fearful that the rationing card she received would not provide enough gasoline for her duties as a member of the Mayor’s city patrol, a volunteer defense auxiliary. Morgan, perhaps, saved her own house from destruction, considering that Mrs. Reavis’s fume-leaking reserves of gasoline were stored about 50 feet from the open pilot light to her hot water heater. Anne Morgan traveled to France when the Nazis invaded and formed the American Ambulance Corps. The organization aided many Americans who had become trapped by the invasion. She returned throughout the war and had just come home in September 1947 after checking on social services she had founded in France. While at her Mount Kisco, New York, estate she suffered a severe stroke and was brought to the house on Sutton Place. The amazing Anne Morgan would live on until January 29, 1952. Her relief efforts during the two world wars had earned her a medal from the National Institute of Social Science in 1915 and she was the first American woman appointed a commander of the French Legion of Honor. She had taken up residence near the French front from 1917 to 1921, forming The American Friends of France mostly with her own money. It provided furniture to bombed-out families, created a health service, a mobile library among other efforts. The house on Sutton Place was purchased that year by Arthur Amory Houghton, Jr., the great-grandson of the founder of Corning Glass. Exactly twenty years later, Houghton donated the house to the United Nations Association of the United States. The association leased it to the United Nations for a year as the home of the Secretary General, then sold it to the organization in 1973. Today the stately home of Anne Morgan remains the home of the U.N.’s Secretary General. Its colonial façade, along with those of its neighbors built by independent-thinking women who broke free of tradition, looks as though it has stood there for centuries. Just wanted to add that the website mottschmidt.com has historical photos and floor plans for many of the houses Schmidt designed, including the Anne Morgan house. It's a fun site to visit. And now a piece of useless trivia: I've read that Anne Morgan was actually christened "Annie" and was always called that at home, but after she got away from her family she chose the more dignified nickname, Anne.